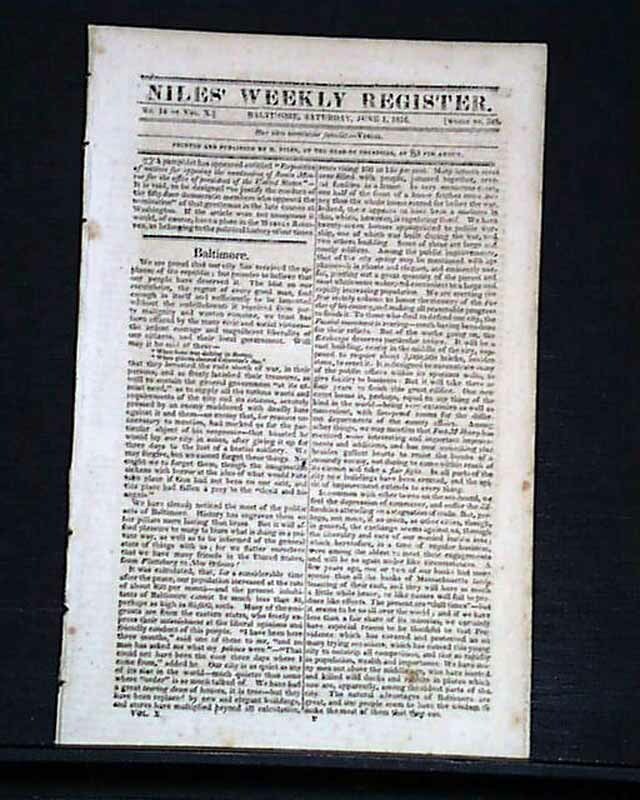 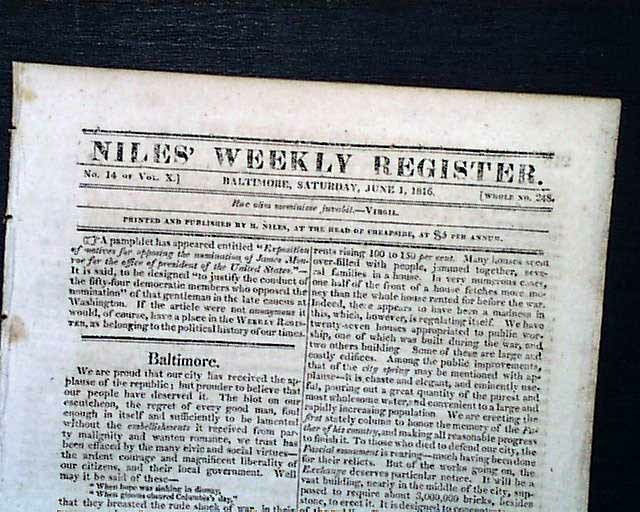 NILES' WEEKLY REGISTER, Baltimore, June 1, 1816 Perhaps the best content in this issue is an article headed: "Laws of the United States. 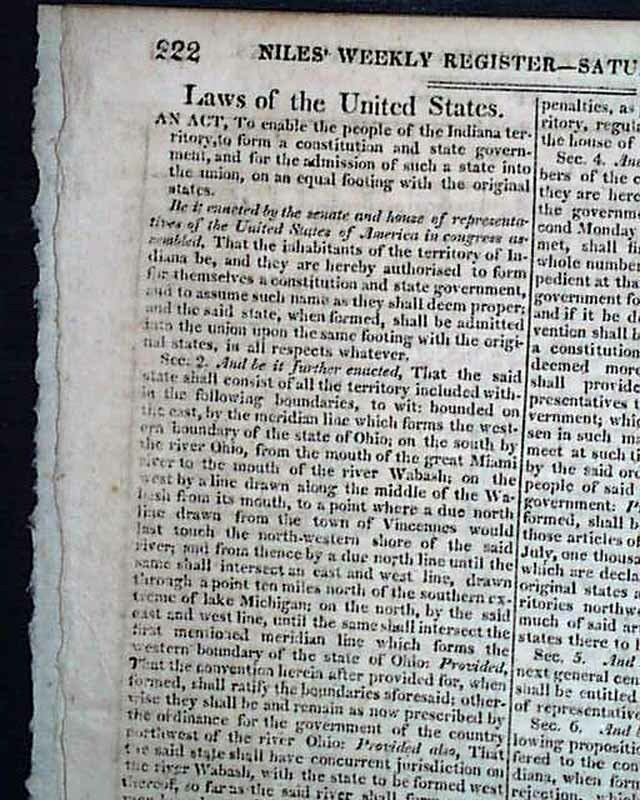 An Act to enable the people of the Indiana Territory to form a constitution & state government & for the admission of such a state into the union..." which takes over a full pg. 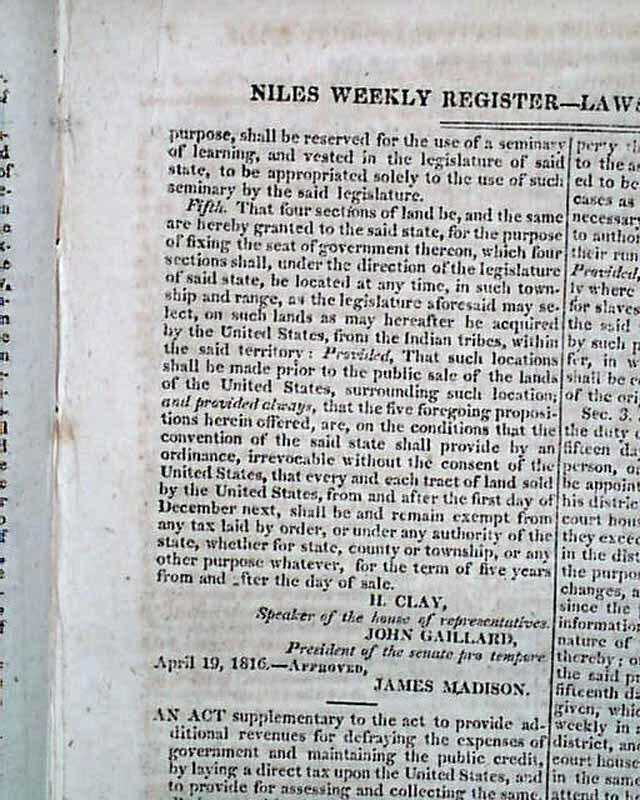 and is signed in type by H. Clay and the President, James Madison. 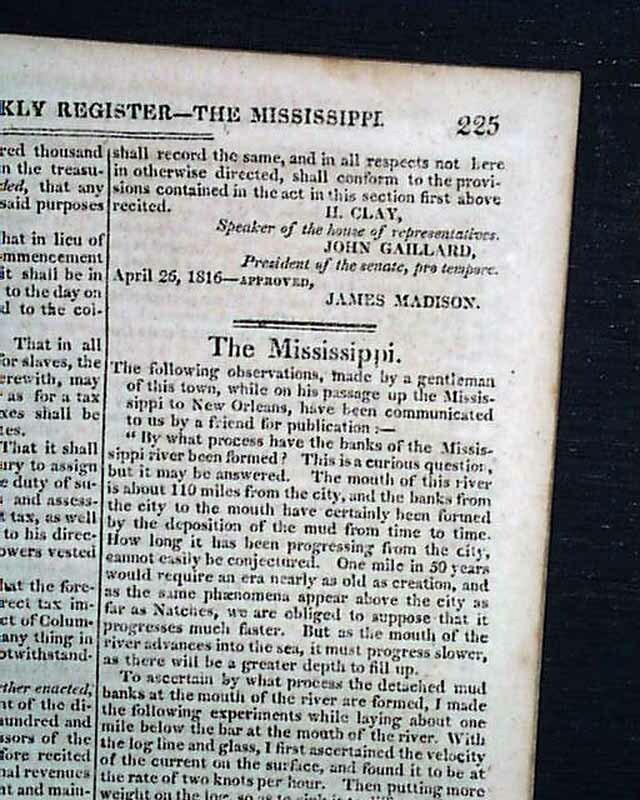 Among the other reports are an article titled: "The Mississippi" which is very descriptive on a man's journey: "...while on his passage up the Mississippi to New Orleans..."; an article concerning the Creek Indians (see for portions), and much more. 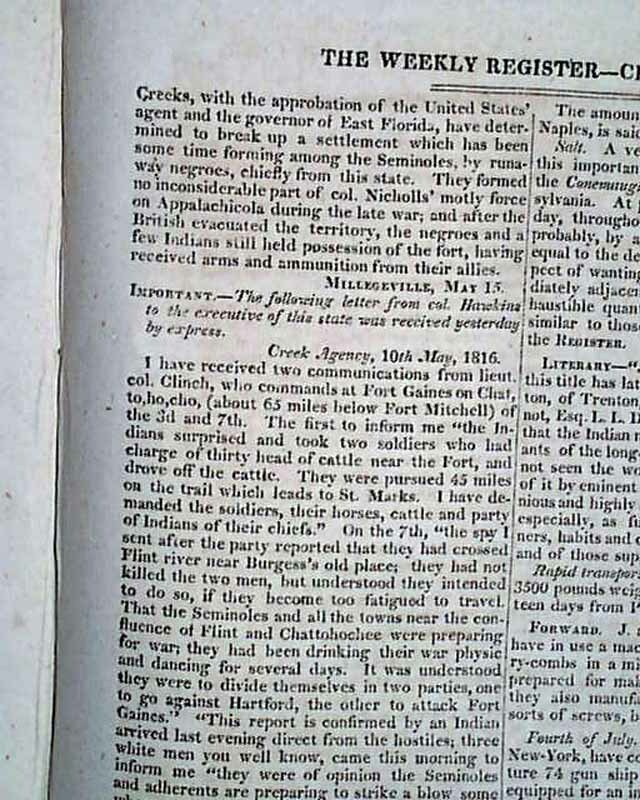 Sixteen pages, 6 1/4 by 9 1/2 inches, in very good condition.